The M1 was given double-wishbone suspension and vented disc brakes on all four corners and anti-roll bars at both the front and rear. 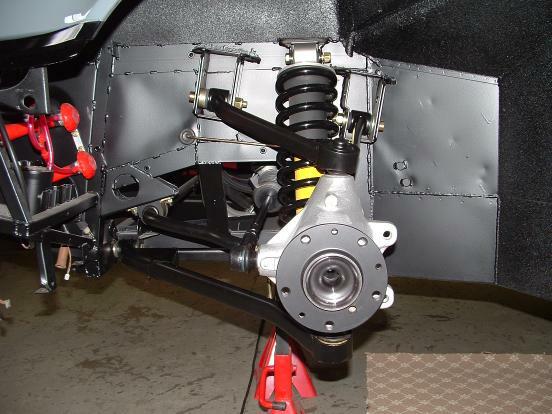 The suspension of the street version of the M1 was essentially the same as the one fitted on the race car. The M1's body was made from Glass-reinforced plastic (GRP) and it was glued and riveted to the frame. The dry weight of the street version of the M1 is about 1300 kg (2870 lbs). 277 hp is enough to propel the car to 60 mph in 5.6 seconds.